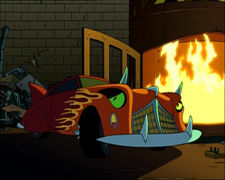 Fry: I hope Satan has a nice colon, 'cause that's where you're gonna be living! Professor Farnsworth: Help! Satan! You owe me! Professor Farnsworth: So tell us, Fry. 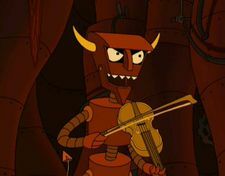 If Bender killed you centuries ago, how in Satan's glorious name did you return? Installation disc: Rise from the dead in the name of Satan! This page was last edited on 14 November 2014, at 20:59.